 How do I apply for a BEE Ratings-SA Rating? If your annual turnover exceeds R 50 million you are defined as a Generic Enterprise(GE). If your annual turnover is between R 10 million and R 50 million you are defined as a Qualifying Small Enterprise(QSE). Receive application for quotation from client. Send quotation, application form and standard terms and conditions to client. Receive signed application, standard terms and condition contract and full upfront payment from client. Review the application and approve if no conflict of interest exist. Plan the process in conjunction with the client. Brief the client in on what evidence is required for rating / verification. Allow the client reasonable time to collect evidence. Verification analysts completes the BEE scorecard and submits this with the audit file for review and approval. Verification Manager reviews the audit file and approves the BEE status if compliant with SANAS requirements. Client appeals if need exists. Description: Ownership refers to the owner’s right to share in economic benefit as a result of the owner’s participation in the enterprise, and the right of the owner to use assets and resources of the enterprise. Benefits: Ownership is a Priority Element of B-BBEE Scorecards for both Generic Enterprises and Qualifying Small Enterprises. An entity must reach the sub-minimum score of 40% of the points available under the Realisation Points Indicator on the Ownership Element of the Scorecard. Should this sub-minimum score not be reached, the entity’s B-BBEE rating will automatically be discounted by one level. The minimum target for Black Ownership in terms of the Generic Scorecard is 25% plus one vote. Out of the 25% black shareholding, 10% must be in the hands of black females to obtain the maximum amount of available points. Description: Unemployment in South Africa remains the biggest challenge to society with an average unemployment rate of 27% currently. Business and Government need to relieve this situation by creating jobs and implementing skills development and training solutions as thoroughly as possible. The Broad-Based Black Economic Empowerment (B-BBEE) legislation amendments placing more emphasis on skills development and on business owners to broaden the impact of their skills development. The focus has been moved to accredited qualifications. Skills Development has been increased to 25 points from 15 points. To facilitate this process, businesses must utilise a Learnership Program. experience leading to a qualification registered on the National Qualification framework (NQF). It follows a recipe where learners acquire knowledge through training and apply their skills in a natural work environment. The business owner/employer signs a learnership agreement with candidates and finances their programmes while registering with the relevant Sector Education and Training Authority (SETA). Learners demonstrate competence as reflected by their qualifications. Learnerships may result in a quadruple scoring on the Generic BEE Scorecard. Effective application of skills gained. Employers who implement learnerships qualify for tax rebates as additional expenses for learnerships will reduce the taxable income as explained below (one example). The applicable amount can be added as an additional expense to the company, reducing its taxable income. Your company qualifies for this allowance upon registration of each learnership. It is calculated pro-rata (e.g. if the learner withdraws after 6 months, you only qualify for R20 000). Your company qualifies for this additional rebate upon successful completion of each learnership. Description: Preferential Procurement is a sub-element that falls under the Enterprise and Supplier Development element on the Amended Broad-Based Black Economic Empowerment (B-BBEE) scorecard and can no longer be dealt with indifferently. It is part of the Priority Elements, and the 40% sub-minimum is also applicable to the Procurement indicator on the scorecard. This implies that at least 10 out of the 25 points available on a Generic Scorecard needs to be obtained to ensure that your entity is not discounted a level. A decent score for Preferential Procurement can make the difference between compliance and non-compliance. Unlike Skills Development, Enterprise Development, Supplier Development and Socio-Economic Development, no additional expenses need be incurred to claim points for Preferential Procurement – the entity must monitor the amount spent with suppliers as well as monitor their suppliers’ B-BBEE compliance to ensure that they also adhere to B-BBEE legislation. In terms of the Revised Codes of Good Practice, Preferential Procurement as part of the broader Enterprise and Supplier Development element is a Priority Element for generic entities. Qualifying Small Enterprise (QSE) entities may choose between Enterprise and Supplier Development or Skills Development as a Priority Element. Preferential Procurement is a positive and obtainable element to become Broad-Based Black Economic Empowerment (B-BBEE) compliant. Procurement drives transformation throughout the economy and encourages suppliers to become BEE compliant. Procurement is the driving force used to spread BEE in the industry. As procurement expenditure naturally occurs within an entity no additional expenses are typically necessary other than driving transformation via supplier compliance. Exempt Micro Enterprises (EMEs) and Start-Ups are automatically recognised as Empowering Suppliers. Provision of training or mentoring by suitably qualified entities or individuals to SMME’s which will assist the SMME’s to increase their operational or financial capacity. Investments in beneficiary entities (SMME’s). Loans made to beneficiary entities. Access to improved B-BBEE points. Improve your Enterprise Development score. Description: Socio-Economic Development (SED) contributions are any monetary or non-monetary contribution implemented for individuals (natural individual or group of natural individuals) or communities, where at least 75% of the beneficiaries are classified as black people in terms of race. The objective of SED contributions is the promotion of sustainable access for beneficiaries to the economy. To claim points, the beneficiary must provide the entity with a letter acknowledging receipt of the contribution, declaring that the beneficiaries are at least 75% black as defined by the Codes of Good Practice and that the full contribution was allocated to these black beneficiaries. All contributions need to be proved by providing the proof of payment and an Article 18A receipt. A competent third party must also provide confirmation of the percentage of black beneficiaries who benefited from the contribution. The third-party confirmation can be provided by, for instance, the auditor of the organisation. Improve your Socio-Economic Development score.